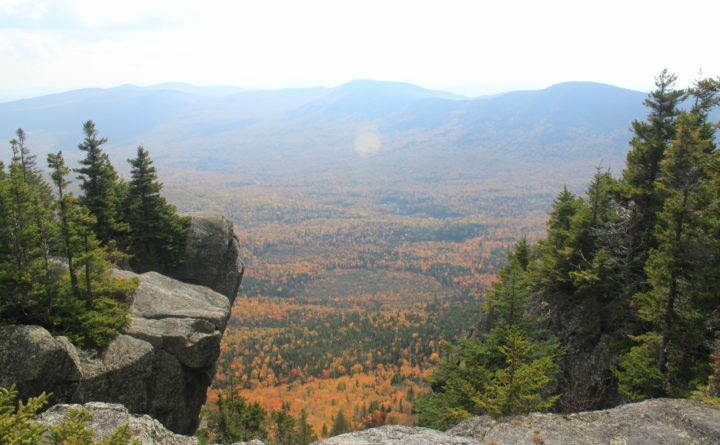 Colorful fall foliage can be seen from the ridge of Tumbledown Mountain near Weld, Maine, on Oct. 5, 2012. Ben Santer, an atmospheric scientist at Lawrence Livermore National Laboratory and the study’s lead author, likens the temperature results to a wave washing up on a beach. For every year in the 38-year satellite record, the team captured the monthly temperature lows (troughs) and highs (crests). In the early years, the “waves” came in small. By the end of the data set under study, 2016, the waves crashed ashore with higher troughs-and much higher crests. The study, published Thursday in the journal Science, also calls attention to a persistent disconnect between findings that attribute warming to humanity, and how the same research has been characterized in testimony before Congress. Santer’s newest paper comes during a busy week for climate politics, as several Republicans back a resolution opposing carbon taxes, another Republican congressman preps a long-shot carbon-tax bill, and several research groups led by Columbia University’s Center on Global Energy Policy publish studies of new scenarios analyzing U.S. pricing of carbon dioxide emissions. Climate models are famously imperfect. The authors indicate where simulated warming has been known to outrun actual temperatures, the focus of much attention in recent years. They walk briefly through several possible explanations, and dismiss concern among some scientific critics that models overestimate how fast the world will warm.